Public health policies all over the country reflect the scientific evidence: feral cats live healthy lives outdoors and don’t spread disease to people. But advocates of catch and kill programs continue to justify this cruel practice by insisting that feral cats represent a threat to public health and that they do spread disease. “There’s simply no evidence to back up these claims,” says Deborah L. Ackerman, M.S., Ph.D., an adjunct associate professor of epidemiology at the UCLA School of Public Health. More and more, public health officials are embracing Trap-Neuter-Return for feral cats and replacing outdated policies based on unfounded fears. Infectious diseases can only spread from cats to humans via direct contact with either the cat or its feces, and feral cats typically avoid humans. Statistics from the Centers for Disease Control and Prevention (CDC) show that cats are rarely a source of disease, and that it is unlikely for anyone to get sick from touching or owning a cat.3 “Feral cats pose even less risk to public health than pet cats because they have minimal human contact, and any contact that does occur is almost always initiated by the person,” says Ackerman. The health risks that catch and kill advocates most often blame on cats are intestinal parasites, rabies, flea-borne typhus, and toxoplasmosis. Yet the spread of these diseases has never been conclusively linked to feral cats. Ackerman says that the risk of catching an intestinal parasite like Cryptosporidium and Giardia from cats has been vastly over-hyped. Molecular studies show that these parasites are usually species specific—meaning that the type that infects cats does not infect humans—and “some studies even suggest that cats and other animals are more likely to catch these parasites from humans than vice-versa,” according to Ackerman. Hold cats only a short time before surgery. Once you’ve captured cats in a humane box trap, hold them there until the time of surgery. Transferring cats to larger enclosures is not recommended for short-term holding, because it increases the risk of human injury as well as cat escape. Cats are experts at escape—and if a feral cat is afforded any opportunity, he will almost always succeed! Recapturing cats can be difficult, and increases the risk of injury to both cats and staff. In addition, escaped cats can be destructive as they attempt to hide and resist recapture. I’m including the CDC site, which I disagree with on a lot of subjects. In my opinion the CDC puts everything in a chart and gives out a blanketing decision and opinion, misguiding many that it has a negative impact on just about everything. o feral kitties live good lives? The Washington Post asked that question last week in a story that examined the practice of controlling feral cat populations by trapping cats, spaying or neutering them, and then releasing them back into their former home environments (it’s often called Trap-Neuter-Return or TNR). The Humane Society of the United States, the ASPCA and other supporters say the nation’s estimated 50 million to 150 million feral felines often live healthy lives. They also say TNR has added benefits: After a cat colony is sterilized, nuisance behaviors such as fighting and yowling are reduced, and the feral population stabilizes. Feral cats can keep rats in check, too. Often shown in children’s books and painting, cats go nicely with barns. Our hardworking barn cats are essential to our rodent control. Not only do they keep them at bay, they also use the rodents they catch as snacks and gifts! What a pleasant surprise to find as you head into the barn on a chilly fall morning. A few of our barn cats have been gifted to us and some have been sought out. When we lose a couple to old age or illness, we do adopt some new cats for the barn. 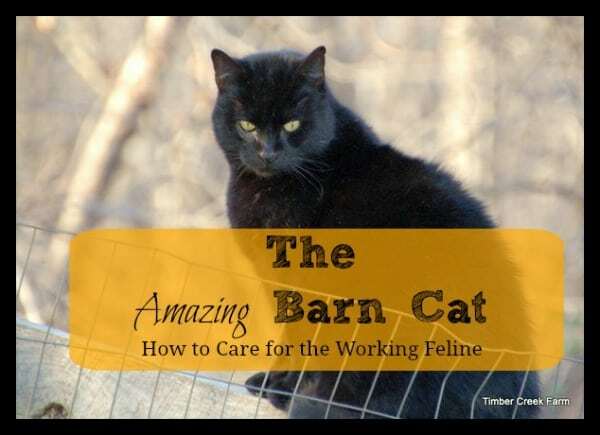 Our barn cats are an integral part of our farming plan. Since they work so hard, our barn cats deserve to be treated like other high performing work animals. I have heard people state opinions about how you shouldn’t feed them much because then they won’t be hungry enough to chase their own dinner! Nonsense! If you want an animal to perform work for you, then you should feed it adequate nutrition so it has the energy and stamina to perform. Treating an individual cat for multiple days is not easy, and it’s nearly impossible to do effectively in a cat colony! The feral cat colony is a herd, and cats are very social with each other. Therefore, when one cat has an infection or parasite, the rest have been exposed to it. This is true for ear mites, mange, lice, intestinal parasites and respiratory infections! Some or most cats cannot be handled, and medicating only the individual and leaving the herd untreated won’t be effective because the issue will return. Success is achieved by effectively treating all of the cats through their diet and getting all to take the medication. 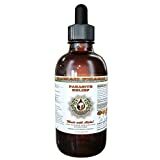 Parasites are the first place to start because they do the most damage and removing them is where you get the most results for your money! Parasites eat the cat’s necessary nutrition, and they beat down the immune system, making respiratory infections more prevalent. The result is rough hair coats and skinny cats. Most ear mite treatment programs fail because of the mite eggs, not because the adults were not killed. Mites and ear mites are easy to kill in the adult stage, but it’s nearly impossible to get the egg. The eggs hatch in seven to 10 days and start reproducing. Ivomec one percent is very effective at getting rid of ear mites, mange mites and lice. The key is getting one good dose in them and repeating in seven to 10 days. It is essential to get the mites that hatch before they can start reproducing. If you don’t, the mites will repopulate and be just as bad in six weeks. It can be overwhelming trying to understand the different types of worms your pet can develop, and what treatment options are best. Use this chart to learn which product will work best for your cat’s condition. You’ll discover what ingredients each medication contains and also learn important safety information for each. The best flea treatment for cats kills fleas quickly and is easy to administer. To find our top picks, we consulted with pet and insect experts, researched active ingredients, and examined the finalists ourselves. All of our top medications kill fleas fast, but if you want to prevent a flea population from growing, choose a spot-on. Frontline Plus for Cats kills all stages fleas and ticks for up to a month and was the easiest to apply. Sentry Fiproguard Plus for Cats uses the same active ingredients, but its applicator is messier — not ideal when handling insecticides. Still, we liked that it’s half the price of Frontline. These three tiny tablets all begin to kill fleas in 30 minutes, but remember — they won’t protect your cat from a re-infestation or any other pests. You’ll need to use it daily until the fleas are under control. I’m sure you’ll agree that a cat flea treatment should safely and effectively protect your feline friend. These top rated cat flea treatments are customer favorites for their performance, availability, convenience and many other reasons. Dealing with fleas can be a real challenge and if your cat is an outdoor cat, trying to cover all the areas he or she might wander to can be an impossible task. 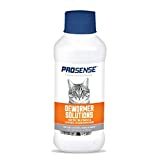 With these top rated products, your cat can continue doing what cats do, but they will be protected from the annoying pests, especially if you take care of the fleas before they become a problem. Treating the fleas on your cat can be done in several different ways and some products are meant to be used along with others.